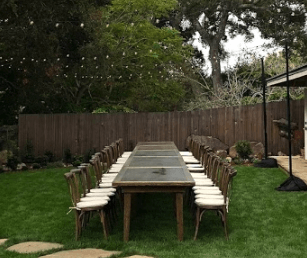 Oak Cross Back Chairs work well for your rustic, farm to table, or vineyard themed event. 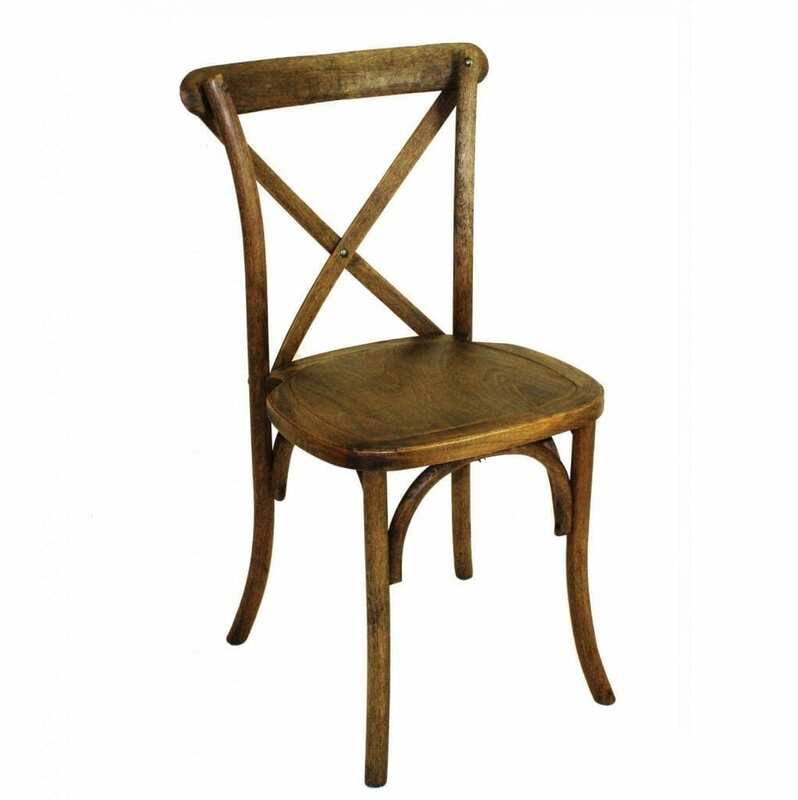 This chair not only offers charm and elegance, it’s natural wood is warm and inviting to your guests. For added comfort you can rent seat cushions in a variety of fabric colors to perfectly match your event color scheme. On a budget but want the look? 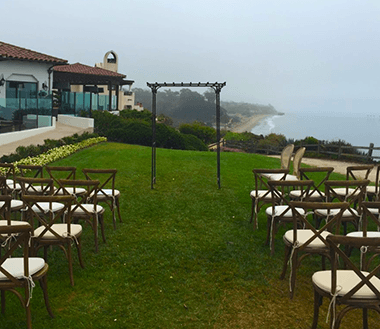 Try filling the tables with fruitwood chairs and keep these premium chairs at the head table, or at the sweetheart table. This helps keep your costs down, while adding something special to your event photos. 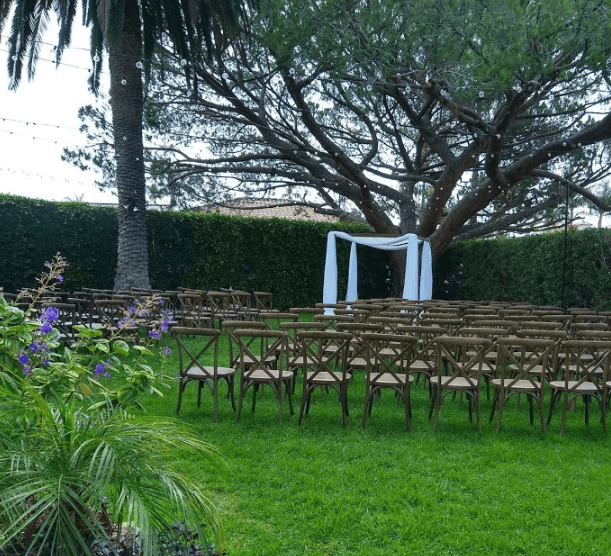 Vineyard chairs look amazing with our wood wedding arch or chuppah.